Let’s Go Electric! 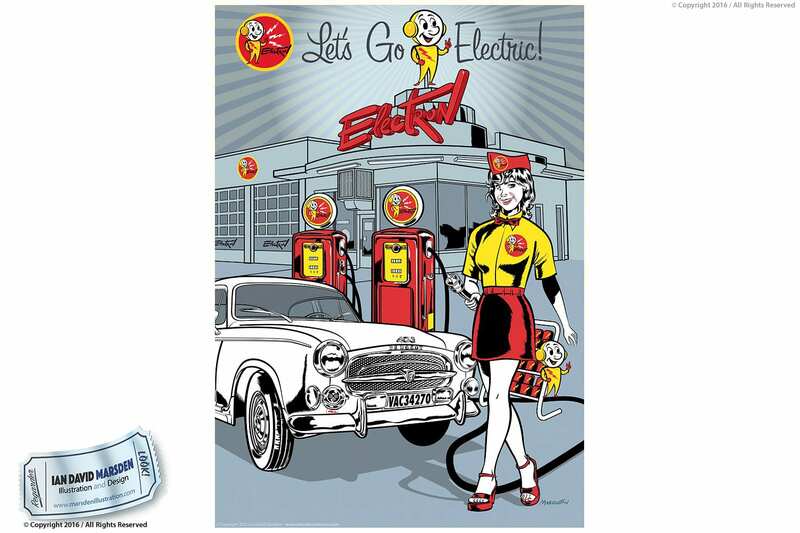 – Pinup Garage Girl Poster. A Peugeot 403 comes into an Electron Power Station to get charged up.